A teenage drug, drink and dangerous driver who hit a pedestrian and trapped him under his car, could be facing jail. Morgan Williamson was found to have more than twice the legal limit for alcohol, over seven times the limit of the main metabolite of cocaine and more than twice the limit of cocaine in his system after he struck Jake Pollard in Burnley. 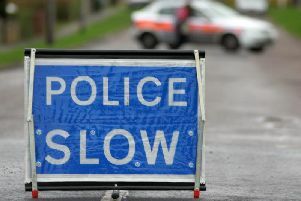 Mr Pollard, of Barnoldswick, was left pinned under the Vauxhall Corsa Williamson was at the wheel of on Hammerton Street and passers-by tried to lift it off him. The victim, who is in his early twenties, had been walking down the street at 4-50am when the crash happened. Williamson has now been given an interim driving ban and could end up behind bars after the incident on June 4th. The defendant, of Bear Street, Burnley, appeared at the town's magistrates' court, where he admitted causing serious injury by dangerous driving. The 19-year-old also pleaded guilty to allegations of driving with a proportion of a specified controlled drug above the specified limit - 374 microgrammes of benzoylecgonine, when the limit is 50 microgrammes per litre of blood and 24 microgrammes of cocaine, against the limit of 10 microgrammes per litre of blood. Williamson further admitted driving with excess alcohol - he blew 72 microgrammes of alcohol in 100 millilitres of breath when he was breathalysed. The legal limit is 35. District Judge James Clarke committed the defendant, who has no previous convictions, to Burnley Crown Court to be sentenced in January. He told Williamson: "Based on the guidelines, these offences would attract a level of punishment outside my powers at this court."